Another week, another jam, eh? That’s what it feels like these days at least. Not that I have any kind of problem with that, mind you, seeing how I’ve acquired a fondness for bite-sized gaming over the past year or so. Ironically, such are the exact type of game we’ve seen from the host of this one. Coincidence? I think not. Seeing how this jam is supposed to be all about crafting Nitrome style games, those not familiar with their creations would do well to check out Oodlegobs (coverage) and Flightless (coverage), for starters. Alternatively, you could simply go nuts and peruse the entire list. Just don’t forget that there’s a jam eagerly awaiting more participants, along with a bunch of brand new games to be played. Fun times ahead for developers and fans alike! 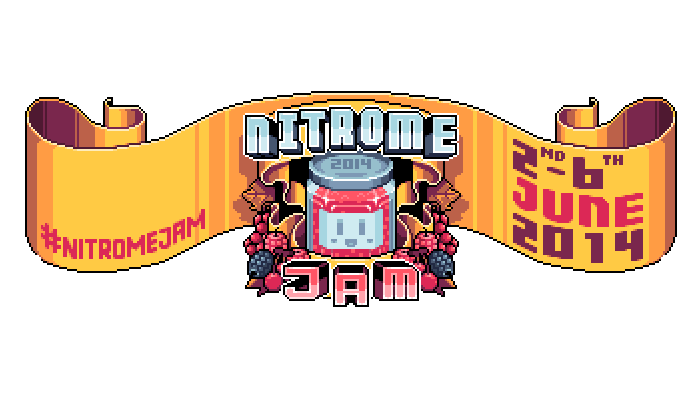 Should you feel like signing up, here’s a quick rundown of the rules: theme is ‘dreams’, no blood/excessive gore/sexual content (remember, spirit of Nitrome), submissions must be 550×550 or less, has to run in a browser and… the deadline is midnight on the 6th of June GMT. Simple enough. Entries will be live on the website come the 9th of June, at which point there will be writings about (at least) a few of them.